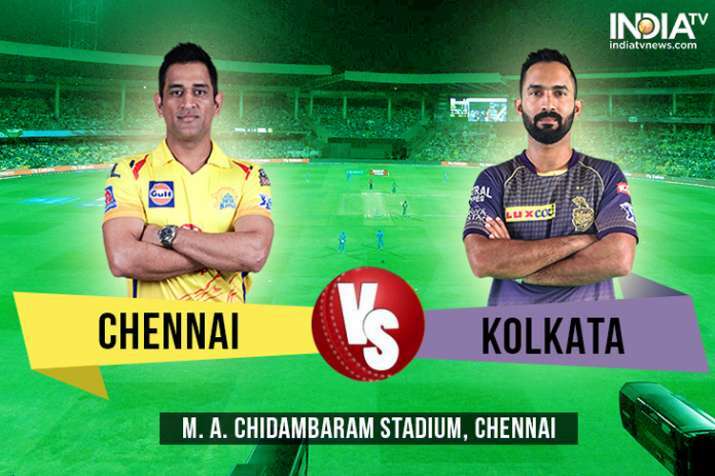 In-form Chennai Super Kings (CSK) will meet a match when they take on Kolkata Knight Riders (KKR) in their Indian Premier League encounter at the M.A. Chidambaram Stadium here on Tuesday. While CSK have been at the top of their game at home, KKR are sitting at the top of the points table with four wins from five games. Although both the teams are equal on points -- eight apiece -- KKR have a better net run-rate of +1.058 over CSK's +0.159.